Image: Jordan Strauss/Invision/AP/Shutterstock; Erik Pendzich/Shutterstock. The singer is taking learning to swim seriously. 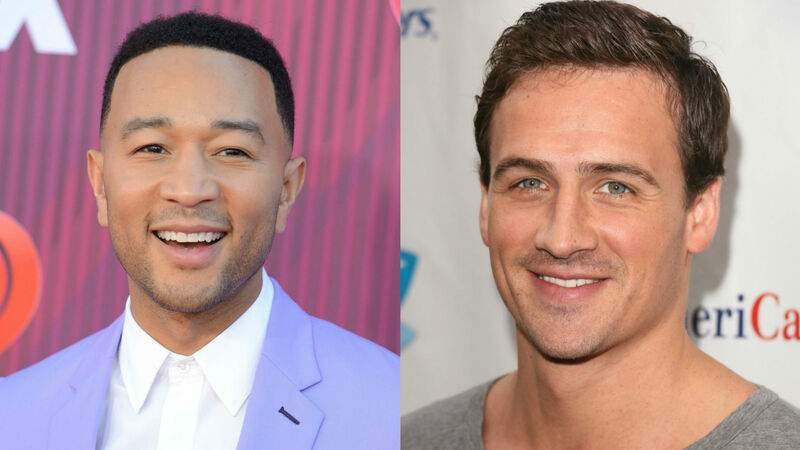 So much so, John Legend took swim lessons from Ryan Lochte. Yes, the Olympic swimmer came over to the Legend-Tiegen household and helped The Voice coach in his own pool. On Monday, April 8, both Legend and Lochte shared footage on Instagram from their swim lesson together. As you can see below, Lochte uploaded a video of them swimming, in addition to a photo of them together. The athlete captioned his post, “Not a bad way to start my week. Swimming with @johnlegend giving him some swim tips and getting him ready for 2020 Olympics haha!” Lochte also accompanied his photo and video with the hashtag “#olympianontherise”. Teigen also shared an Instagram video of Legend swimming on Jan. 30, in which she captioned, “adult swim with @kidswimla- so proud!! !” However, her video didn’t have sound, because as she explained in the comments of her post, “because I’m cheering too loudly.” Yeah, these two are one supportive couple, who constantly root for each other. Based on Teigen’s post from over two months ago compared to Lochte’s, it’s clear how much Legend’s swimming skills have improved. The “Preach” artist has worked really hard at this particular goal that he set for himself and he deserves a round of applause.